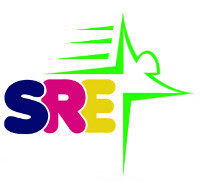 SRE stands for Scandinavian Rehabilitation Equipment – short SR Equipment and is registered by the register court of Paderborn, Germany (HRA 6896). The company activities started late 1998 in order to present rehabilitation equipment, machine for gate training and to protect the ownership of the product and name of Original Norsk in Germany. The first company constellation was owned by the producer of above equipment and Mr. Blomqwist was employed as manager for the German branch. In 2009 Mr. Blomqwist bought all rights (name, production, representation etc.) and founded SR Equipment. Today the company represents rehabilitation equipment from Scandinavia, Germany and Poland. SR Equipment distributes through World Wide Web rehabilitation equipment in Germany, Europe and foreign countries outside Europe.